The number of secret reviews carried out by the Department for Work and Pensions (DWP) into deaths linked to benefit claims appears to have doubled in the last two years, according to figures the information watchdog has forced the government to release. The figures relate to the number of internal process reviews (IPRs), investigations conducted by the department into deaths and other serious and complex cases that have been linked to DWP activity. They show that, from April 2016 to June 2018, DWP panels carried out 50 IPRs, including 33 involving the death of a benefit claimant, or roughly 1.27 death-related IPRs a month. DWP figures previously obtained by Disability News Service (DNS) show that, between October 2014 and January 2016, there were nine IPRs involving a death, or about 0.6 a month. These figures are only approximate, because the information about IPRs (previously known as peer reviews) provided by DWP through freedom of information responses does not provide precise dates for when each of them took place. But they do appear to show a clear and significant increase since early 2016 in the number of IPRs carried out following deaths linked by DWP to its own activity. They also appear to show a return to the kind of frequency of reviews related to deaths of claimants that were seen between February 2012 and October 2014, when there were 49 such reviews at a rate of about 1.5 a month, at a time when research and repeated personal testimonies showed the coalition’s social security cuts and reforms were causing severe harm and distress to claimants. The new figures also show that 19 of the deaths in the last two years involved a claimant viewed as “vulnerable”, while six of the IPRs (and four deaths) related to a claimant of the government’s new and much-criticised universal credit (see separate story). John McArdle, co-founder of Black Triangle, said ministers “always get up at the despatch box and say they are continually improving the system. This proves that to be false. McArdle said that if there was a tragedy involving the deaths of 33 people in a train crash there would be an independent inquiry into what went wrong. But because these deaths were happening in the social security system, he said, no such public inquiry would take place. A DWP spokeswoman declined to say whether the figures showed that DWP’s treatment of vulnerable and other benefit claimants had not improved significantly since 2012 and had worsened in the last two years. She also declined to say if DWP was concerned that there had already been four IPRs following the death of a universal credit claimant, even though only a small number of people are currently claiming UC. DWP only released the figures to DNS this week after the Information Commissioner’s Office had reminded the department of its duties under the Freedom of Information Act. One case that appears to have led only to recommendations for improvements locally suggests further poor practice by DWP, with the IPR saying that “we should have considered whether [information redacted] was a vulnerable customer and if there were safeguarding issues”. The disabled crossbench peer Baroness [Jane] Campbell, who chairs the Independent Living Strategy Group, told Disability News Service (DNS): “It would have been nice to be informed of this decision to scrap the parallel process by my fellow parliamentarians in the House of Lords, especially as I had asked formally on two occasions for any progress on the ‘parallel process’. She said the news that working-age disabled people would now be included in the green paper “could be good news [but] it could be bad news” as it could either mean a “breath of fresh air” or signify that working-age disabled people will be “an after-thought”. New figures obtained by a disabled people’s organisation – after ministers refused to commission the work themselves – appear to show how the government relies on the growth in self-employment and part-time jobs to exaggerate its success in increasing disability employment. Ministers such as work and pensions secretary Esther McVey have repeatedly boasted of how their policies have led to hundreds of thousands more disabled people in work over the last five years. But those claims have been based on figures provided by the Office for National Statistics (ONS), which includes in its measure of “employment” people who are in part-time work, are self-employed, or are on government training and jobs programmes. Ministers in the Department for Work and Pensions (DWP) refused to commission work from ONS – which it told Disability News Service would cost just £125 (plus VAT) – that would show the full, detailed figures. Now London’s pan-disability disabled people’s organisation Inclusion London has commissioned the work itself from ONS, at the same price of £125 plus VAT. The new ONS figures* obtained by Inclusion London show that nearly half of the increase in disability employment in the last four years has been due to disabled people becoming self-employed or taking part-time jobs. Between 2013-14 and 2017-18, the number of full-time disabled employees rose by about 383,000, while the number of disabled people in part-time jobs, self-employment, government training programmes and employed as unpaid family workers increased by about 366,000. During this period, the number of disabled people in self-employment increased by more than 22 per cent, when the number of non-disabled people who were self-employed rose by just nine per cent. The increase in the number of disabled people in part-time self-employment increased even faster, by about 25 per cent. There was, though, also a sharp increase of about 22.5 per cent in full-time disabled employees over the four years, although the number of part-time disabled employees rose even faster, by about 27.5 per cent. Ellen Clifford, campaigns and policy manager for Inclusion London, pointed to the high number of disabled people who had become self-employed. She said: “Research by the New Economics Foundation in 2017 found more than half of all self-employed people don’t make a decent living. “This is even more of an issue for disabled people, whose outgoings tend to be much higher due to unavoidable impairment-related expenditure. Clifford also highlighted the high proportion of disabled people who have taken part-time jobs. She said: “This will include things like zero hours contracts which can again easily fail to provide the security, conditions and income levels that disabled people need. She urged the government to “look at the types of jobs and work that disabled people are moving or potentially being pushed into and to address issues of quality instead of making the aim to get people off out-of-work benefits at any cost”. Linda Burnip, co-founder of Disabled People Against Cuts (DPAC), said DWP had yet again “botched” its analysis of statistics. She said: “Disabled people are particularly over-represented amongst the self-employed and as most people are aware, self-employment is often a route to employment taken by those excluded from mainstream labour markets. “The Association of Independent Professionals and the Self Employed (IPSE) have revealed that self-employed workers [can end up] £3,000 per annum worse off than those in employment with the roll-out of universal credit and are calling on the government, like DPAC, to stop this roll-out. A DWP spokeswoman declined to comment about the part-time work figures and whether the government agreed with calls to look at the types and quality of work disabled people are moving into. But she said: “We welcome recent increases in the disability employment rate, with 600,000 more disabled people in work between 2013 and 2017. The impact of the “migration” of hundreds of thousands of disabled people onto universal credit from next year could prove disastrous because of the “hoops” the government will force claimants to leap through, according to a disabled MP. Stephen Lloyd, work and pensions spokesman for the Liberal Democrats, said the migration process was set to be “a disaster” for those disabled people currently claiming employment and support allowance (ESA), including many people with learning difficulties and mental health conditions. The Department for Work and Pensions (DWP) is set to start testing the process of moving hundreds of thousands of existing ESA claimants – its estimates suggest it will eventually need to “migrate” 750,000 – onto universal credit from January, and intends to “increase volumes” by July and complete the process in 2023. ESA claimants will be among those receiving a letter telling them that their existing benefits are about to stop and that they will need to make a new claim for universal credit. They will have to fill out an online application, and then make at least one and possibly two, or even three, visits to their local job centre in the space of just one month, to validate their claim. If they fail to do this, said Lloyd – who was speaking to Disability News Service at his party’s annual conference in Brighton – they will get “kicked out” and be left with no benefits, as their ESA claim will have ended. A DWP memo, produced in June, said the department would give claimants at least one month to make their claim, although there will be “flexibility for this period to be extended” to up to three months. But Lloyd said: “What on earth is going to happen? You have got to do all this in a month, otherwise you’re going to be kicked off. That’s going to be catastrophic. He has written to work and pensions secretary Esther McVey to seek clarification on what claimants will be asked to do. His hope is that pressure on McVey through parliamentary questions and an early day motion will force her to back down and ease the conditions imposed on claimants before regulations are laid before parliament in October. Concerns about the migration have also been raised by the mental health charity Mind, which said: “Many people experiencing mental health problems have told us they are extremely worried about what these proposals will mean for them. “As people begin to move over to universal credit, we are concerned people will fall through the cracks, and see their benefits stopped entirely. “It’s appalling to place all the responsibility on unwell people to reapply for a new benefit and risk losing their income in the process. A DWP spokeswoman said: “We are working closely with stakeholders and other parties to design the best possible process for the migration of our customers to universal credit. “Our focus will be on safeguarding claimants and ensuring a smooth transition with uninterrupted support. “Based on early planning there is no evidence to indicate that claimants would need to come into the jobcentre so frequently and therefore we do not recognise this claim. “We plan to have a comprehensive and well-supported preparation period for claimants which will include a variety of communication formats, including face-to-face, internet and postal notification, to ensure claimants are aware of the managed migration process. “There is flexibility to extend that period if necessary; and a process to ensure that, before the existing benefits are stopped, our staff will check for evidence of complex needs or vulnerability or disability and act accordingly to support the claimant. Lloyd said he has already tried locally to ensure that the impact of universal credit and other welfare reforms would not be as serious as it has been in other constituencies. He brought food banks, housing association representatives, Citizen’s Advice and his own staff together in advance of the rollout of universal credit in his Eastbourne constituency last October, which he said helped ensure there was much less of a spike in the use of food banks in the town than in other similar constituencies. Lloyd also believes that he is the only MP in the country who allocates a member of staff to attend regular benefit appeal tribunals on behalf of constituents. So far this year, the staff member has attended about 70 tribunals (with a success rate of about 70 per cent). During Lloyd’s previous stint as an MP, between 2010 and 2015, the same member of staff attended about 150 tribunals in four years. He said: “As far as I know, no other MP’s office in the country sends one of their staff [so] regularly to tribunals. Meanwhile, tributes have been paid to the co-chair of the Liberal Democrat Disability Association (LDDA), Robert Adamson, who died just days before the conference began. Born in Doncaster, and a retired civil servant, he was a former parliamentary candidate for the party and also stood in European and local elections, and was a former chair of the party’s Yorkshire and Humber region. And Gemma Roulston, previously LDDA co-chair and now the association’s chair, said: “He wanted to improve the lives of people with or without disabilities, and anyone who was impacted by disability. “He was always there for you, and was a good person to go to for advice and support. Allan told delegates that the disabled workers’ committee had worked tirelessly to warn of the impact of universal credit and its roll-out, which he said would “fall like a hammer blow upon seven million households – including one million low-paid workers”. Liberal Democrats have called for an end to “discriminatory” laws that allow people with mental health conditions or learning difficulties who have capacity to make their own decisions to be detained against their will. Current mental health legislation means that a person assessed as needing urgent medical treatment and assessment because of a “mental disorder” can be detained in hospital against their will. But party members argued that detaining people based on whether they have a “mental disorder” was discriminatory, a breach of the UN Convention on the Rights of Persons with Disabilities, and discouraged people from being open about their mental health. Party members voted at their annual conference in Brighton this week to demand sweeping reform of the law in England and Wales, despite substantial opposition. They agreed that people with mental health conditions or learning difficulties should not be forced to have medical treatment unless they do not have the capacity to make a decision about whether they wish to have that treatment. And they said that people should be able to make advance decisions – as defined in the Mental Capacity Act – to refuse detention or treatment. They also fended off efforts from some party members to amend the motion so that individuals could be forced to be treated and detained, even if they had capacity, if their refusal would pose a serious risk of harm to themselves or others. One delegate compared the current legislation to historic witchcraft and slavery laws, and the Spanish Inquisition. He and others argued that people who have capacity to make their own decisions, but have a mental health condition or learning difficulty, should not face the possibility of being detained against their wishes in hospital. Henry Jones, who has a degenerative neurological condition, described how he had been held against his will in hospital for six months. He had spoken at the time of wanting to end his own life because of his condition, and as a result “two large men showed up at my home” and took him into detention in a locked mental health ward. He told delegates: “Even with my condition I had capacity. They treated me like an animal, they did everything they could to break me. But, he said, it did “make me want to reform the law before passing on”. He said that if he had been treated “like a human” by mental health professionals he could have “talked openly about what was happening in my brain… it would have saved me and others around me four years of hell”. Another party member, Andrew Muir, told the conference how his wife had been sectioned in 2006 after she complained about treatment she had received at a Scottish hospital. She was forced to take medication while in detention for 51 days – when there was no evidence of mental ill-health – and was physically abused by staff, and then forced to take drugs for another year when she was released on a community order. He also said that the review of the Mental Health Act 1983 – being led by psychiatrist Professor Sir Simon Wessely – should instead be led by a human rights expert. Liberal Democrat MSP Alex Cole-Hamilton also spoke in favour of the motion. He said: “In Scotland – and I am sure south of the border – we are stripping people of their basic right to be heard. A string of mental health professionals spoke against the motion, including one who accused it of “muddle” and being “full of misconceptions”, and another who said it was “unworkable and not sensible” and would remove protections that were available in the Mental Health Act. But one psychiatrist, Mohsin Khan, who supported the motion, pointed out that similar laws to those suggested had been introduced in some US states and Northern Ireland. He said the motion “merely brings mental health in line with what happens with physical health”, and would allow adults “who have consistent, long-term capacity to rationally decide to make decisions for their own body for the future”. User-led organisations have played a key role in two major new projects that aim to improve access for disabled tourists and ramblers. In Oxfordshire, Natural England has opened the National Land Access Centre (NLAC), which will provide training for landowners, farmers and rights of way officers on how to ensure that gates and other countryside obstructions are accessible to disabled people. And in Lancashire, Blackpool-based disabled people’s organisation (DPO) Disability First is celebrating a government grant of nearly £1 million for a project that will improve access to the Fylde, Wyre and Blackpool coastline. NLAC, based at Aston Rowant National Nature Reserve, will offer training courses that show how to use, maintain and install fences, barriers and stiles that meet a new British Standard, which was published in February. Natural England, the government’s advisers on the natural environment, has worked closely on the plans with the user-led charity Disabled Ramblers, and project partners The British Horse Society, the specialist gate supplier Centrewire and the Pittecroft Trust. John Cutherbertson, chair of Disabled Ramblers, told Disability News Service (DNS): “There is a huge swathe of the population who cannot clamber over stiles. “What we found is the main thing that stops people accessing the countryside is the lack of understanding by those people who are putting these gates in. “Some of them still think that the less able would prefer to stay at home and watch the telly. He said Disabled Ramblers was trying to educate these groups, such as farmers, landowners and rights of way officers, about the “least restrictive” way to enclose land, and ideally install gates that disabled people can open and close on their own, without needing someone with them. He said he hoped that the selection of gates and barriers on show at the centre would grow and would be joined eventually by accessible versions of other equipment, such as bridges and boardwalks. Disabled Ramblers has provided an off-road mobility scooter to the centre so people who take the courses can use the vehicle to see how difficult it can be to manoeuvre through such obstacles. Cuthbertson said that Centrewire, which was founded by Tom Bindoff, a non-disabled member of Disabled Ramblers, had been keen to modify its products to make them more accessible. Bindoff has even designed a “kissing gate” that can be opened by a scooter-user using a RADAR key, he said. Meanwhile, funding of £985,000 has been awarded to a consortium led by Disability First through the government’s Coastal Communities Fund. Alan Reid, chief executive of Disability First, said his organisation was “thrilled and very proud” to be awarded the funding in its 25th year as a charity. He said he wanted the Fylde, Blackpool and Wyre coast to “strive to become a more truly inclusive resort”. The Access Fylde Coast project is supported by Blackpool, Fylde and Wyre councils, Blackpool Transport, Marketing Lancashire, Lancaster University, the access information provider DisabledGo, Blackpool’s Coastal Community Team and the area’s local Volunteering Centre. Reid said the project, which will last nearly two years, was “exciting and unique”. He told DNS the scheme would improve access for both visitors and residents by offering free access audits and disability awareness training to local shops and businesses. The project will also develop a culture and heritage mobile phone app, linked to existing apps offered by Blackpool Transport and DisabledGo, and which will include a British Sign Language interpretation service. The project also plans to showcase professional disabled performers at Blackpool Opera House theatre and disabled artists in a local art gallery, and improve access at existing events including the Blackpool Illuminations switch-on and Lytham Festival. He said there was also the possibility that a disabled performer could perform at, or even switch on, the illuminations next year. The Coastal Communities Fund was established to support coastal projects in the UK to deliver sustainable growth and jobs. Two leading disabled Liberal Democrats have criticised anti-cuts activists over their public call for disabled people not to vote for their party. Disabled People Against Cuts (DPAC) published a high-profile message on social media this week during the party’s annual conference in Brighton, warning that disabled people “won’t forget” and “won’t forgive” its junior role in the coalition government between 2010 and 2015. But David Buxton, the co-founder of the Liberal Democrat Disability Association, who has worked on campaigns with DPAC, said he would no longer support its work because of the message. The party’s work and pensions spokesman, Stephen Lloyd, was also critical of DPAC. But DPAC, which is not aligned with any political party, has defended its position. It said it held the Liberal Democrats “jointly responsible” for coalition cuts and reforms such as the closure of the Independent Living Fund, damaging policies on the work capability assessment (WCA), the bedroom tax and the introduction of personal independence payment and universal credit. It also pointed to the coalition’s “hostile environment benefits regime” and the “avoidable deaths and suicides of benefit claimants during the coalition years”. But Buxton said he was “very disappointed” by the DPAC message because he had been “very supportive of their work which has been excellent and has been important in stopping further cuts. He told Disability News Service at the party’s annual conference in Brighton that the coalition years had been “a very difficult time” and the Liberal Democrats had “tried to stop further cuts and were successful in stopping those cuts, but there were areas where the books had to be balanced”. He asked why DPAC was not criticising Labour in a similar way. He said Labour’s last government had rejected pleas from Deaf people for a British Sign Language act and had also been responsible for cutting disability services during its 13 years of office, while many Labour-run councils were now cutting services even though some, like Hammersmith and Fulham, had managed to protect disabled people from cuts. He added: “Political parties can change. We have changed as a party. We are no longer in coalition government. Lloyd said DPAC’s message was “very disappointing” and ignored the fact that Labour brought in the WCA and awarded the contract to carry out the assessments to the much-criticised contractor Atos. 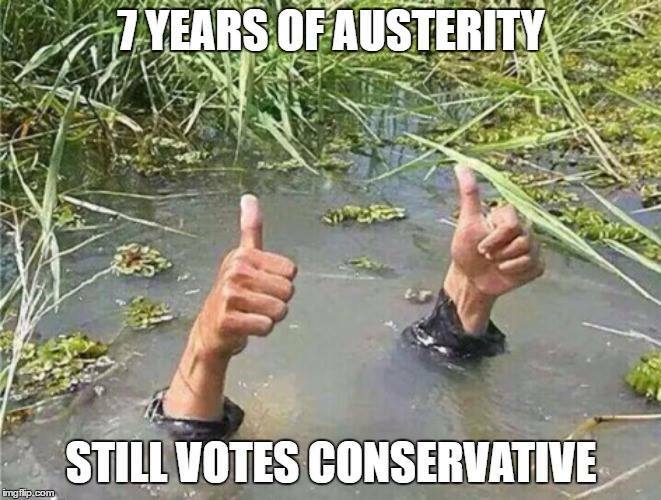 He said he was “proud” of what his party had achieved in coalition when facing “very challenging issues” with the economy, although there had been “some decisions in DWP that were wrong” and “others that were right”. But Bob Ellard, a member of DPAC’s national steering group, said: “We are not party political and we will criticise any party as we see fit. “We will be publicly criticising Labour over their ‘pause and fix’ policy for universal credit during their conference and we’ve been very vocal in criticising Labour in the past. “We’ve also criticised the Green party over their policy on assisted suicide. “And we have been very critical of the actions of Labour councils. “The Lib Dems have Vince Cable as leader, who was a cabinet minister in the coalition, and many of their MPs were MPs in the coalition and voted for Tory welfare reform. A Liberal Democrat MP who has supported Tory former work and pensions secretary Iain Duncan Smith has admitted he gave him “more benefit of the doubt” than he should have done during the five years of the coalition government. Stephen Lloyd, who served on the Commons work and pensions committee while Liberal Democrat ministers were serving in the coalition government between 2010 and 2015, has previously defended Duncan Smith. And during this week’s annual party conference in Brighton, he told a fringe meeting that Duncan Smith had had some good ideas about the importance of employment in addressing disadvantage but had been undermined by right-wing papers like the Daily Mail publishing stories about benefit “scroungers”. When asked later about this statement by Disability News Service (DNS), Lloyd said he had challenged Duncan Smith in parliament on his inappropriate language. But he insisted that DNS was only “half right” in suggesting that Duncan Smith was responsible for whipping up hostility in tabloid papers like the Mail. DNS then repeated comments Duncan Smith had told The Sun in late 2010 in which he said he had been “appalled” at how easy it has been in the past for people to claim incapacity benefit and cheat the system and said that Sun readers were right to be “upset and angry” when they saw neighbours who do not work. Duncan Smith also told the Sun that Britain had “managed to create a block of people” who “do not add anything to the greatness of this country” and had “become conditioned to be users of services, not providers of money. “This is a huge part of the reason we have this massive deficit. Lloyd said again that he had challenged Duncan Smith over the language he had used. But he said he now acknowledged that in his own zeal to see more people in work, he could have overlooked the harm caused by Duncan Smith and his supporters. Reflections on the Global Disability Summit by Michelle Daley Day of Action on the 17th October for Safe Cladding and Insulation Now!